Order confirmations are the final step in submitting orders. Each confirmation gives the user a chance to review the order before submitting it. Turning off the order confirmations removes one step from placing orders and provides a more immediate order placement. Below are the steps to turn off order confirmations. 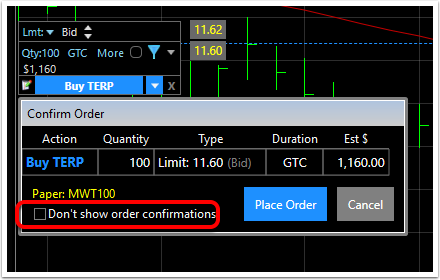 Please note: turning off these order confirmations creates a more instant order placement but does not allow for an order to be reviewed prior to placing it. This turns off order confirmations. From this point, any orders placed when the Buy, Sell or Close button is clicked on the order ticket and will be submitted without bring up the final order confirmation screen. 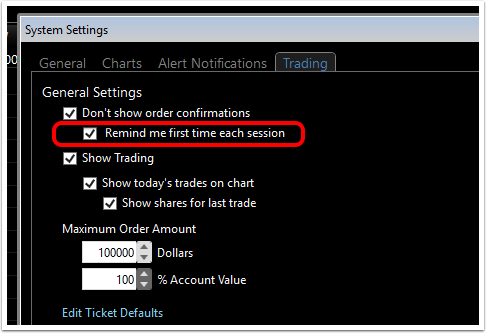 However, a reminder will show that confirmations are off with the first order in each trading session. 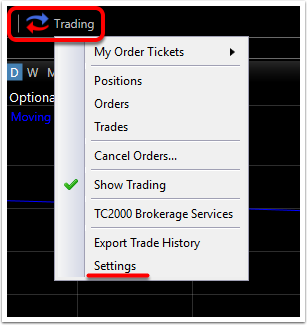 This reminder can be turned off in the Trade Settings window (see below). This opens a second field. 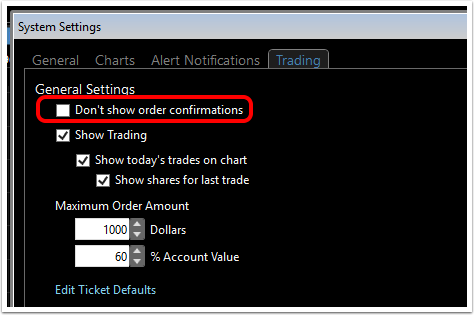 Leave checked to choose to be reminded that confirmations are off with the first order in each trading session. Uncheck to choose not to be reminded at all.